Lagom is the new Scandi lifestyle concept about to sweep the nation. It hails from Sweden and the word itself is derived from the phrase “laget om”, translated as “all the way round”. It was first used to describe when Vikings shared mead in a cup and it had to go ‘all the way round’ the group. You don’t take too much; you take ‘enough’ so that there is something for everyone. And so Lagom means ‘not too little, not too much, just right’. So, if Lagom means ‘less is more’, and living simply and meaningfully with essentials, how do we bring this approach into own homes? A feeling of spaciousness can be increased even in the smallest home if objects are given room to breathe and let the light flow around them. A space that is too busy can feel psychologically uncomfortable; we need visual relief in order to relax. Good storage is vital, obviously, but try to get rid of things first, rather than putting them away and creating more clutter behind closed doors. 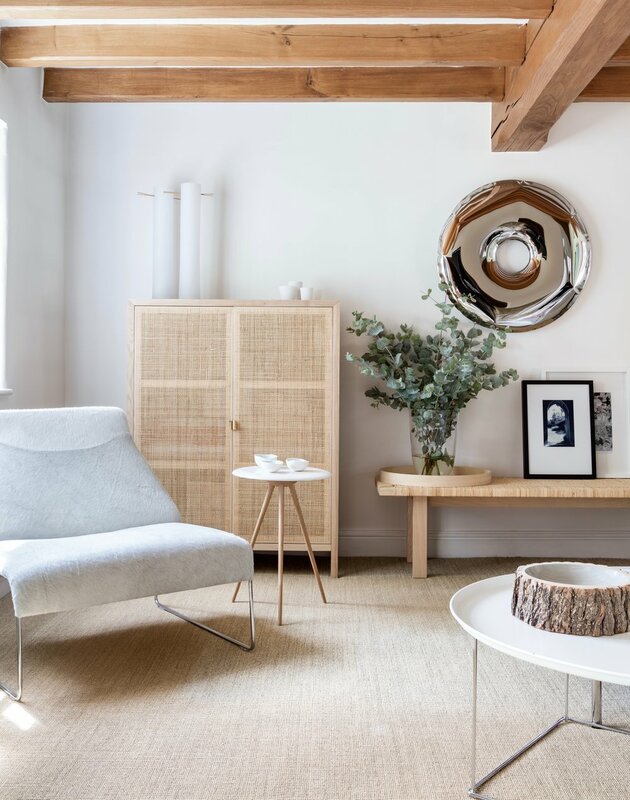 “Layering soft furnishings in natural materials adds visual interest as well as creating the sense of comfort and relaxation so important to Lagom. Think fine wools, filmy cottons, nubby linens, sheepskin and buttery leather.” says Louise. Scandinavians have an abiding affinity with nature and natural materials; they appreciate their restorative effect. Create restful focal points with big bunches of whatever is in season that smells good. Use wood and stone. Not only do they feel good to the touch, they ground us. They are also durable, mellow with age and should, if we are applying the Lagom ethos of “not too little, not too much, just the right amount”, come from sustainable sources. For a home to be truly Lagom it must feel authentic. It must reflect what happiness, beauty, comfort and atmosphere mean to you as an individual. We can’t relax if we don’t have the psychological and physical space to be ‘ourselves’. The beauty of Lagom is that it can accommodate any taste. Just make sure you stick to your own style and only keep things that you find to be useful, meaningful and beautiful, be it books, photographs, art or collections of pebbles from favourite beaches. Ask a Swede about Lagom and you do get the occasional eye roll. As Bronte says, “Lagom is used to describe something that is positive because it works and is functional, but it is also boring.” But, given these turbulent times, couldn’t we all do with a bit more ‘boring’ these days?